It has been a busy season for the fitness scene. 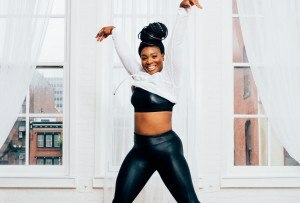 By Adjua Fisher·	 8/3/2017, 11:02 a.m.
Guys, good news for all of you who are bored with your workout and lunch-salad spots: It has been quite the busy season for Philly’s fitness and foodie scene. A slew of new spots — from Megaformer studios to meditation spaces to healthy fast-casual eateries — have opened over the past few months, and we’ve got more to come. Below, 12 fitness and foodie openings, some that have already opened their doors and some that are slated to open very soon, to be excited about right now. 1815 JFK Boulevard, Center City. City Fitness has been in expansion mode: They opened their beautiful new Fishtown club this past winter, and have announced plans to open locations in both Center City and East Market. The Center City location, which rings in at a whopping 40,000 square feet, will be the first of the two to open, and it will also be the company’s first Signature-tiered club. Read: It will have fancy amenities like executive locker rooms and a coworking space — stuff that you don’t find at their current locations. They’re slated to soft-open on September 5th. This salad joint just opened its first Philly outpost in July, and its menu is actually loaded with a lot more than just salad. And at pretty wallet-friendly prices, too! Think: Avocado toast boxes, grain bowls, smoothies, and more, all running between $6 and $12. 750 East Swedesford Road, Wayne and 375 Commerce Drive, Fort Washington. Think of Life Time Athletic as the amusement park of fitness clubs: The massive clubs (some are over 100,000 square feet) are loaded with activities — from cardio barre classes to waterslides — that can keep you busy all day. And once you’ve tuckered yourself out, they have cafes and on-site spas where you can refuel and refresh. See? Basically Disneyland for fitness lovers. These two clubs opened earlier this year, in the spring and summer, and an Ardmore location is on its way. This new yoga studio opened earlier this summer, and they have a varied schedule that includes — drumroll, please — Buti Yoga! That’s a form of yoga that works in dance and conditioning, for the uninitiated, and it’s pretty hard to find. 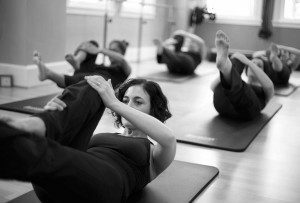 In addition to Buti and vinyasa classes, they also offer adult hip-hop dance classes. Yes, please! 1713 South 12th Street, East Passyunk. 535 Germantown Avenue, Lafayette Hill. Because sometimes you need to get out of your own house and onto a cushion in a quite, distraction-free space to get some sense of calm: This new meditation studio, which opened in the spring, offers a packed schedule of 30 to 45-minute meditation classes — ranging from singing bowl meditation to Kundalini meditation to family meditation — for $13 a pop to drop in. Not a bad price for some dedicated quiet time, huh? This NYC import, known for its 50-minute Megaformer workouts, is opening the doors to its first Philly studio today, August 3rd. You can expect slow movements that reallllly burn, paired with bursts of cardio (think: army crawls done on the Megaformer — ouch), and a nice dose of stretching at the end of class. The new Philly studio also boasts a smaller room with two machines for private lessons, if wincing in private is more your jam. Yep, this muscle-burning (Best of Philly-winning!) 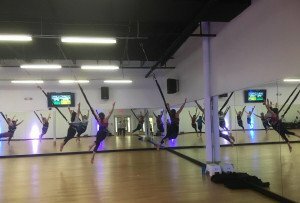 studio, known for its dark studio rooms, loud music, and killer 50-minute workout, opened a third Philly studio in July, this time in Rittenhouse. And let me just warn you: If you plan on taking the subway home after class, you’re going to need to allot extra travel time for sidewalk-sitting breaks, thanks to your very shaky legs. 1601 Market Street, Center City. Old City, exact location TBA. The ladies behind Torc Yoga, the soon-to-open Old City yoga studio that aims to get folks who usually roll their eyes at the sound of an “om” doing downward dogs, are keeping mum on the exact address of their two-classroom studio (they do say it’s located on 2nd Street in Old City) until they make a big reveal on social media. But here’s what we do know: As co-founder Sheena Ohlig told us earlier this summer, the studio is aiming to appeal to “CrossFitters, athletes, fire and rescue workers … the people who think that yoga is just for relaxation and resting. We want to show them that this is something that can create strength in a way that will come in handy in the things they do at work.” They’ll do this via their signature heated, hour-long “Tactical Vinyasa” classes. Oh! And also, they say they’re aiming to have child care for — wait for it — every single class. Parents, rejoice! 239 Mall Boulevard, King of Prussia. Mall food just got a makeover, thanks to this healthy eater’s haven setting up shop at King of Prussia Mall. The 7,000-square-foot sit-down restaurant serves up goodies like kale guacamole, vegan pizzas topped with almond ricotta and black truffle, and kale-aid to wash it down with. (Or a skinny margarita, if it’s that kind of shopping day.) Adios, Cheesecake Factory!